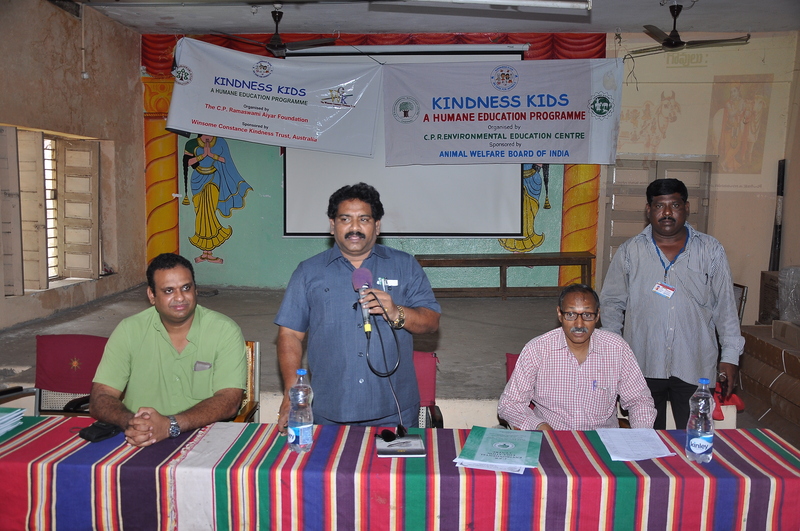 The Kindness Kids Teachers orientation program was held on September 9, 2015 at KSRM ZPHS, Patamatalanka, Vijayawada from 10 AM – 5 PM. 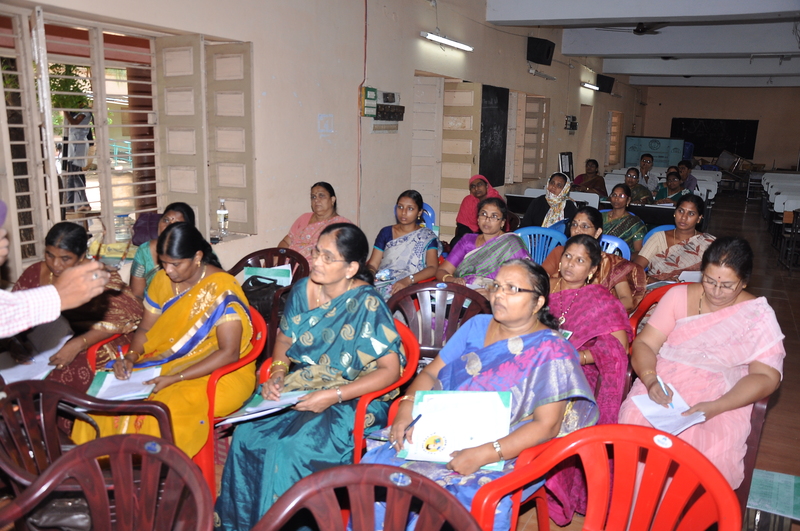 38 teachers from different schools attended the program. Mr. Kakarla Venkataratnam, Project Officer, C.P.R Environmental Education Centre, Andhra Pradesh State Office welcomed the gathering. Mr. K. Ravikumar, DEO, Krishna District inaugurated the programme. He urged the participants to save animals from cruelty and suffering. 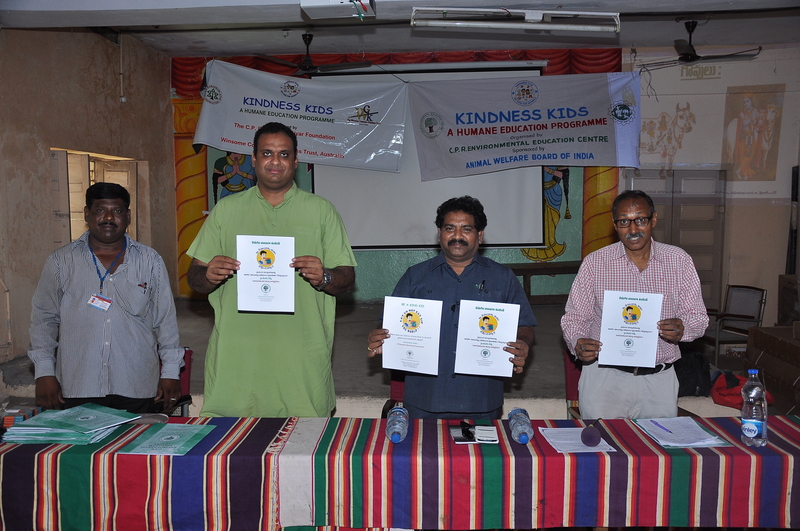 He released the Kindness Kids pamphlet in Telugu. Mr. Prashanth Krishna, Chief Executive Officer of The C.P. 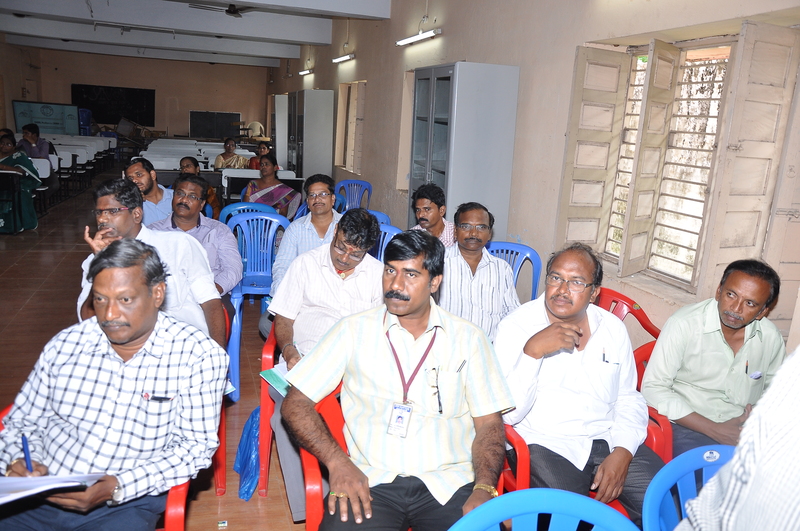 Ramaswami Aiyar Foundation, Chennai, presided over the orientation program. He conveyed the main objective of the programe and why it was being conducted. He mentioned how animals are exploited and treated cruelly for human pleasure. He stressed the importance of following a Vegan diet. 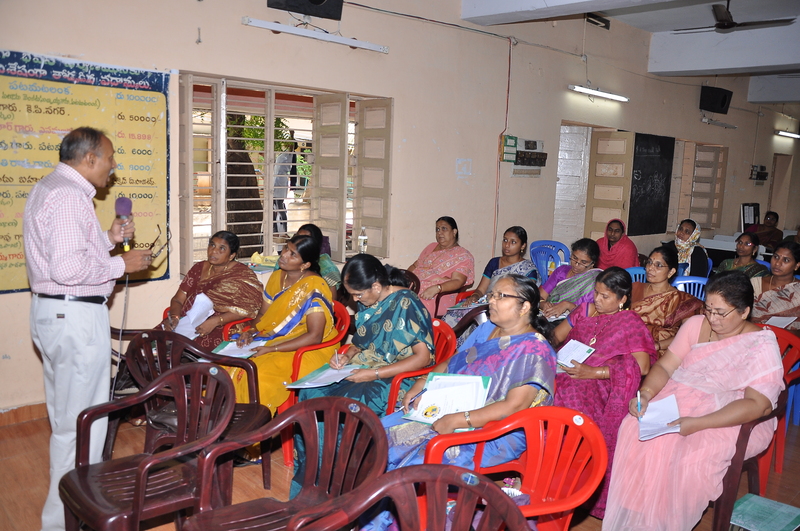 Mr. K. Venkataratnam explained the the animal sufferings using the PPT – Animals in distress and showed a HSI film on animal sufferings and cruelty . The program received positive applause from the teachers.